Rick Doyle’s background in surf photography was new influence in water ski photography in the late 1980s and early 1990s. His use of water housing allowed for unique angles like this one in 1995. Klarich performed a simple jump over the top of Doyle while he floats in the water for this classic shot. The graphics were a gift from Herb O’Brien. 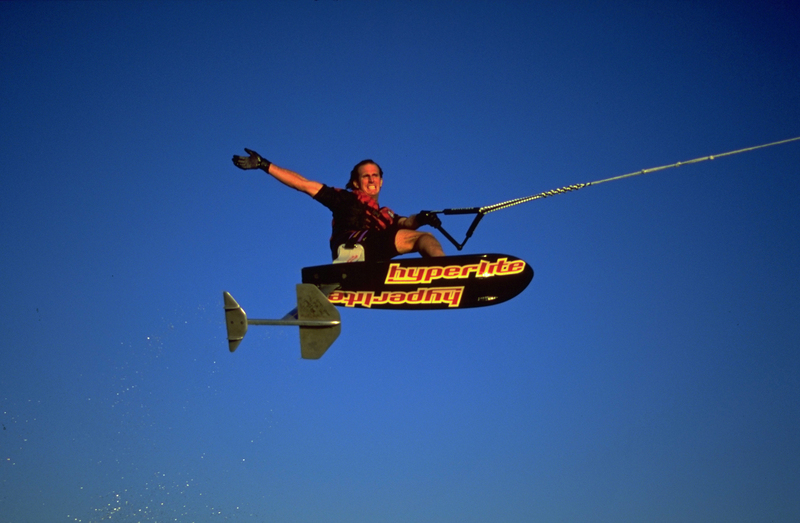 HO created the world’s first wakeboard in 1991, and also pressed the decks for Air Chair.